Here in Rebellious Brides, we don't just give our own rebellious inputs, answer your letters, and feature your wedding---we also love and appreciate the fact that readers and friends take the time to suggest on what we should blog about next! One such rebellious and brilliant idea came from Ivanna Aguiling, a proud and certified CSR Entrepreneur who suggested or "challenged" us rather, to come out with a rebellious idea on Eco-Friendly weddings. for our welcome kits in Bora! And why not? Both Mica and I had Eco-friendly weddings in our own simple way. For instance, in our wedding, we used recycled bags as our welcome kits, we had very minimal use of flowers which included a non-floral bouquet, we opted for a wed-site (wedding website) instead of paper invitations, and we made sure to get props that were going to be reused after our wedding. Mica's wedding on the other hand made use of DIY materials that are also going to be recycled, and she had a non-floral bouquet and limited use of flowers as well. 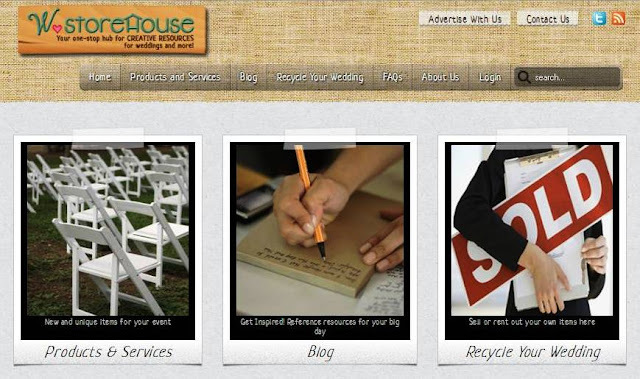 While we know this is not a full-scale Eco-wedding, little efforts come a long, long way don't you think? If the 400,000 estimated yearly ave. of weddings in the country had at least ONE Eco-friendly idea in their wedding, then we will have had 400,000 contributions. 1. Use organic makeup, free from animal-testing: two ways on how to implement this--look for a makeup artist who advocates such products, or go makeup shopping with your makeup artist so that you can both agree on the products you will use for your bridal look. Rebellious Bride Mica of The Makeup of Mica suggests: "Human Nature has an organic makeup line. 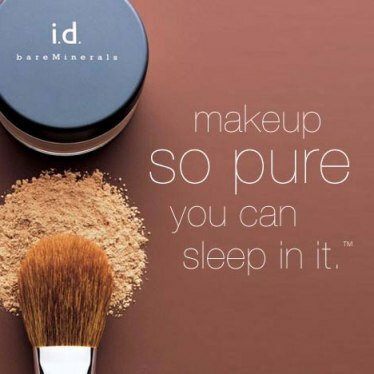 It's available in Beauty Bar and is a local brand. 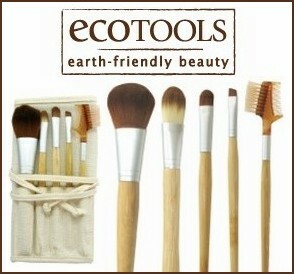 Bare Escuentuals for the best mineral makeup, and Ecotools for brushes (no animal hair)"
2. 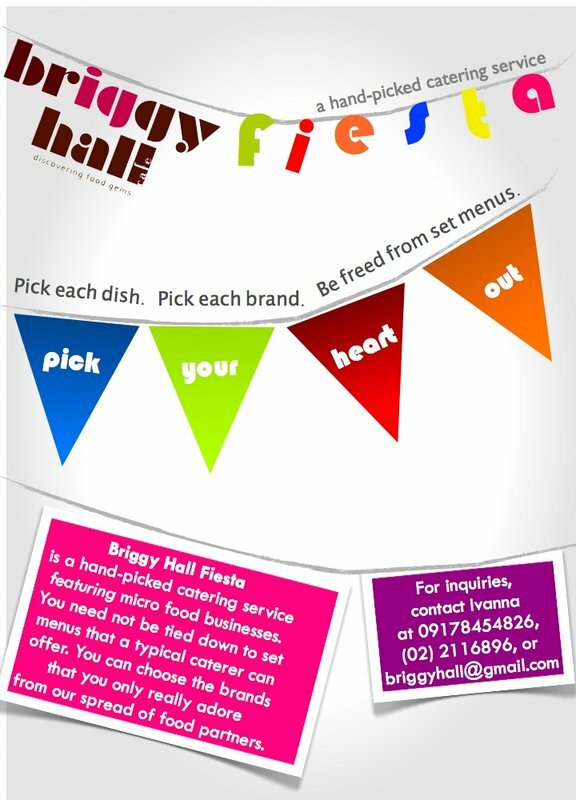 Serve organic food: If you wanna take it a notch higher, if you want a socially responsible wedding, get food from equally socially responsible businesses like Briggy Hall. Or go vegetarian with the likes of Corner Tree Cafe, Pipino, and Chimara. While some guests might complain because they might expect for the usual wedding food, try to explain and manage their expectations as much as you can. After all, how many times have vegetarians been "forgotten" in events and have ended up not being able to eat anything? 3. Opt for Eco-friendly venues: Ivanna suggests: "Go for daytime garden receptions for less electricity costs - no lights, no aircon. Less carbon emission. If you want a night garden wedding, use CFL's (Compact Fluorescent Light) for the lights." Another suggestion I can think of is have your weddings in places that are naturally cool and breezy like Baguio, Tagaytay, Lipa, Antipolo, and the like. 4. 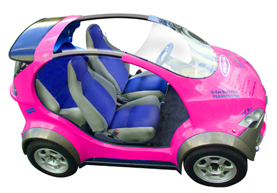 Rent a hybrid car for the wedding car: Admittedly, there are not enough hybrid cars in Manila to go by, much less, hybrid cars for rent. So I would suggest looking for friends who can really lend you one. OR, why not try inquiring with GCAR? Once you've tried it, perhaps you can even buy one after! 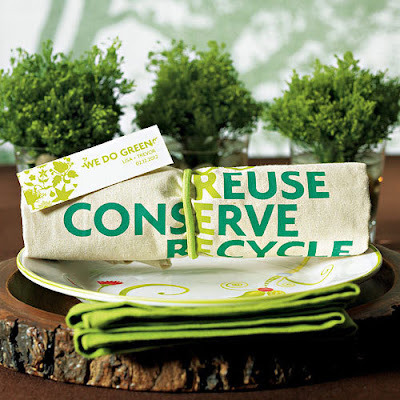 There are a lot of ways to go about recycled wedding decors . First, you can make DIY projects that were made out of used items. Rebellious Bride Beverly and Rebellious Bride Mica have both executed great DIY projects that you can learn from (Click their names for related articles). Another way to do it, is to consciously opt for wedding decors/gifts that are sure to be used after the wedding versus the kind that are sure to be thrown or accumulate dust after. 6. Wear an organic bridal gown The good news is, organic gowns are absolutely beautiful! For example, gowns now can actually be made out of sustainable materials, bamboo, organic cotton, and pina. Another way to go about it is to actually have your gown designed in such a way that some parts are detachable so that your gowns can also be "recycled" for other use. L-R: The couture, Eco-friendly dress on the left made by Morgan Boszilkov was made of hemp/silk Jacquard with a detachable bottom. The two lowest tiers can be removed to create a shorter dress. The gown on the right, also by Morgan, is made with bamboo, organic cotton jersey, and hemp/silk Charmeuse.The skirt features gathers and organic linen cloth flowers. Perhaps you are wondering, but all the gowns we showed above are from abroad! How and where can I actually implement it and how do I find a designer who can make an organic gown for me here in Manila? Don't fret! Our very own Rebellious Bunch designer, Hindy Weber-Tantoco is a widely known advocate of all things organic and natural. If there's anyone who can be truthful to every design and material you will need, it is her. Not only will she have valuable inputs for your gown, she might even be able to recommend to you more organic sources and elements for your wedding! 7. Walk the talk - having an Eco-friendly wedding should also have the heart and authenticity to it. Walk the talk, lead by example, by actually carrying out equally Eco-friendly habits during your wedding. 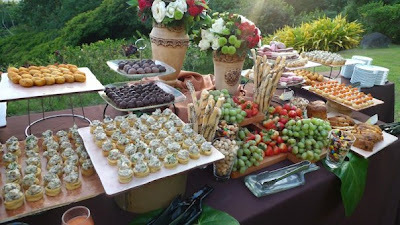 Ivanna suggests the following: "No to plastic straws at the reception, arrange a waste segregation system after the reception, sell what can be sold and donate the money to the service crew that helped at the wedding, and make sure center table flowers or plants can be replanted." 8. Save more trees, go paperless! - There are those that would contest that there's nothing quite like a real formal invitation that guests can hold, feel, and receive. It makes people feel "special". But whichever way you try to look at it, it is really a waste of resources PERIOD. Plus, there are so many other ways to make guests feel "special". Send out invitations electronically. 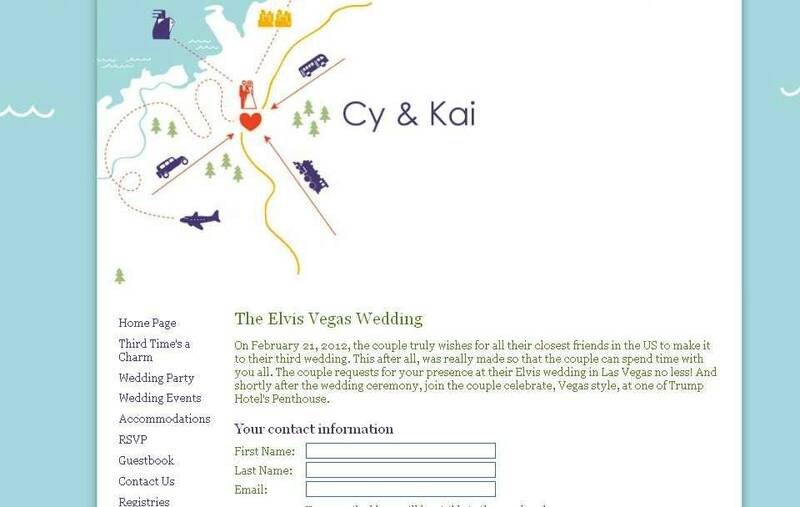 Thank you letters, the same.Wed-sites (wedding websites) are great! Don't be intimidated! Facebook is even more complicated! 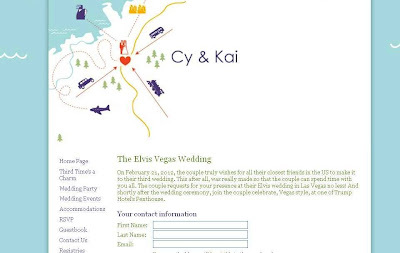 mywedding.com offers wonderful wedding solutions, complete with your very own wedding countdown, details about your wedding, wonderful templates and RSVP solutions for you. While weddings are absolutely fun and wonderful, there are also a lot of wastage caused by weddings---and it's about time that we learn or rather, have the GUTS to change the rules not just for the sake of creativity but also for the sake of the environment. Do you have more eco-friendly ideas for weddings? We'd love to know!